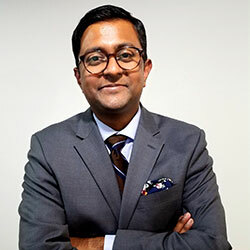 Ferdous Al-Faruque, known as Danny, specializes in reporting on new medical device technologies such as mobile health, combination products, unique device identifiers, and issues surrounding interoperability and cyber security. He is also our resident podcast expert, and has brought listeners the voices of top FDA officials as well as industry leaders. Danny is a big sci-fi fan, especially Battlestar Galactica and Star Trek. Qapla'!